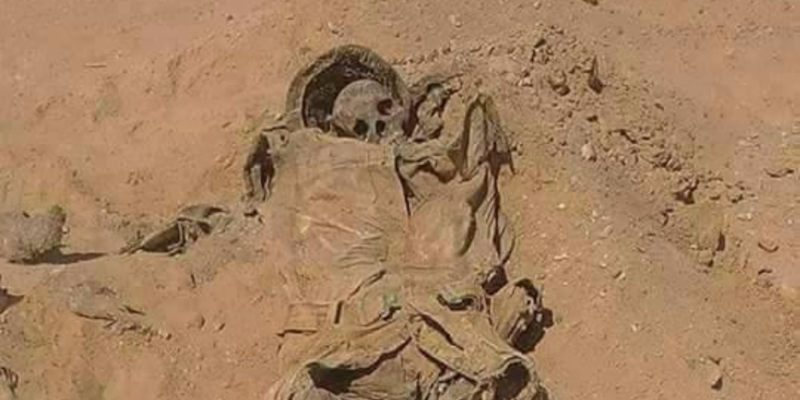 While working on a developmental project in Central Sinai, the remains of an Egyptian conscript, who is thought to have fought in the 1973 October war, were found. The martyr’s name is Abdel Hamid Mohamed Abdel Hamid. He was born in 1942 in Al-Fayoum governorate, according to the privately-owned newspaper Al-Masry Al-Youm. A personal ID, a military summon letter, 25 piasters, and ammunitions were found with him. Several bodies of conscripts were previously found. In 2014, during the digging process of the new Suez Canal, the bodies of two conscripts were found as well. One of them was identified. However, the other one remained anonymous as they couldn’t find any personal IDs with the body. The 1973 Arab-Israeli War erupted between an Arab coalition, led by Egypt and Syria, against Israel. It mainly took place in Egypt’s Sinai and Syria’s Golan Heights. A peace agreement was signed between Egypt and Israel in 1979 and Egypt has gained sovereignty over Sinai on April 25, 1982.